It all started when my friend Past District Governor Donna Wallbank opened my eyes to the very successful nationwide youth programs run by Rotary across the UK. I was amazed and inspired by these competition-based programs, particularly “Young Writer”. 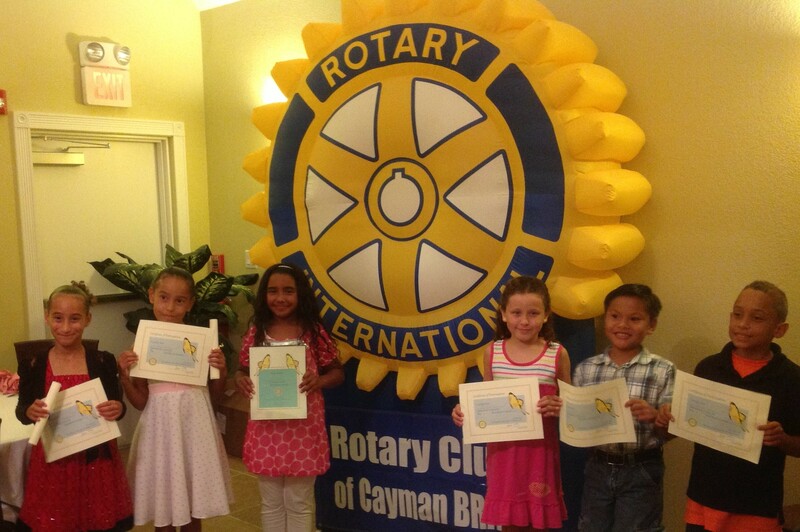 That gave me the idea of suggesting a contest as a project for our E-Club, the Rotary E-Club of the Caribbean. The original plan was simply to run a story writing competition, but a brainstorming session with club members led to “we need to share these children’s stories online”. As ideas were put forward, the Butterfly StoryBook emerged! We couldn’t realize this dream without the support of the other clubs in District 7020. Clubs were invited to initiate their own local story writing contest and send the top three stories to us. 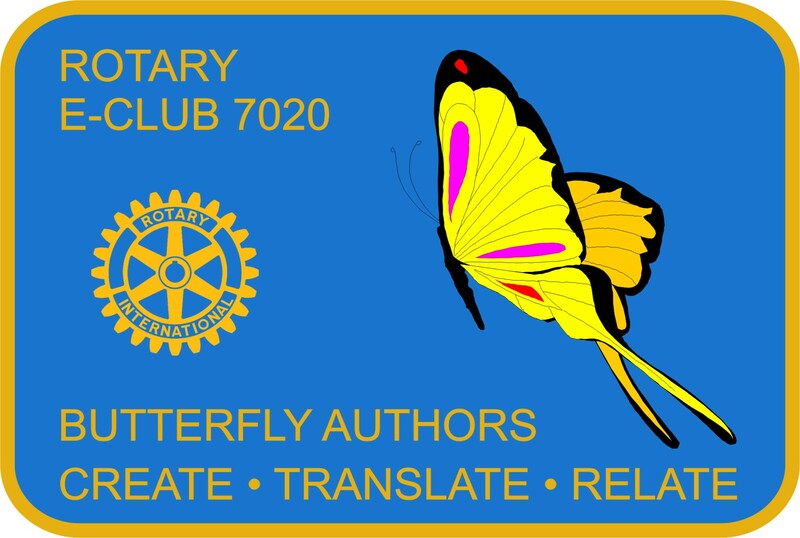 These winning stories, focusing on Rotary ideals, came to life in the Butterfly StoryBook. Feedback from students and teachers alike has been positive. They praise the Rotary club for focusing primary school children on important values such as truth, fairness, friendship and helping others. After designing the book and posting it online in a magazine style, the next question was “how can we get this wonderful book published for all to read, and to do it for free?”! Our assistant governor told us about CreateSpace, a self -publishing subsidiary of Amazon. All we had to do was provide the creativity and upload the book — free! After the Butterfly StoryBook was published and placed on Amazon worldwide, the Jamaica Reading Association (JRA) discovered it. 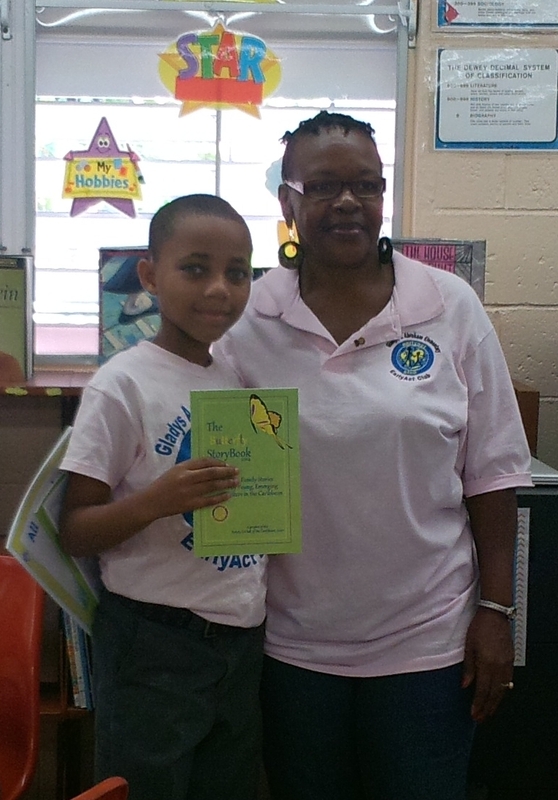 They needed to find an age appropriate book for children for Jamaica Reading Week and contacted our e-club directly. Their partnership has been incredible! They made copies of selected stories and their members and volunteers from First Heritage helped distribute the stories to 30 Jamaican primary schools. We are grateful to JRA and proud to receive the Pearson Foundation Literacy Award. The grant will enable us to increase the number of Butterfly StoryBooks we can send to underprivileged students and to provide the JRA with hard copies of the books next year. The Rotary-International Reading Association Literacy Award, made possible by the Pearson Foundation, recognized two literacy projects undertaken jointly by a Rotary club and International Reading Associate affiliated council.